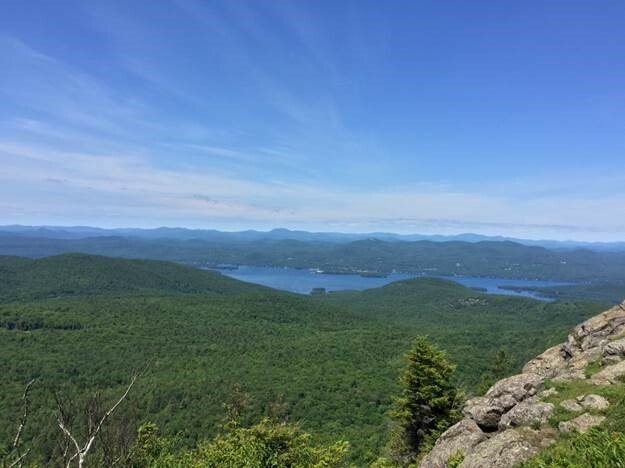 On a recent Saturday, Ron and I took a hike up Sleeping Beauty Mountain on the east side of Lake George. 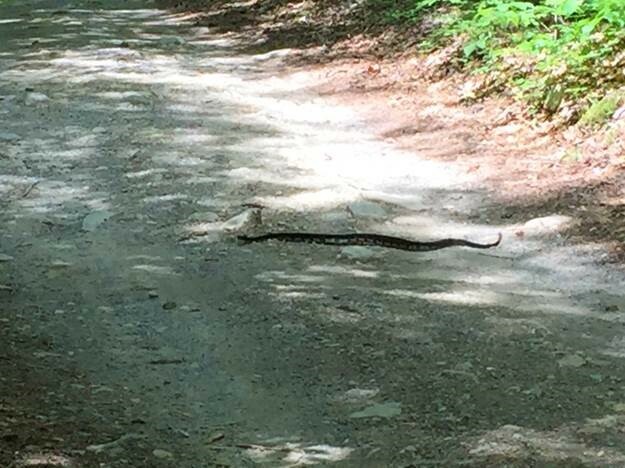 We were on an access road walking back to our car, when I had a close encounter with a timber rattler! I knew in the back of my brain that they have a habitat in Lake George, but most accounts say they’re “very elusive” and you can hike most of your life and never see one—yeah, right! As we were walking along the road I heard this VERY LOUD buzzing, which I can only describe as a combination of squirrel chatter and a cicada. I said, “Hey hon, do you hear that?” (He didn’t, which is another scary story.) “That’s a weird squirrel noise.” I walked over to a large white birch at the edge of the road, looking up at the branches. I said, “It sounds lower,” as I looked over my shoulder at Ron. [Meanwhile the snake is thinking *we have a real slow-learner here*] Ron pointed past me into the undergrowth, and I looked down. 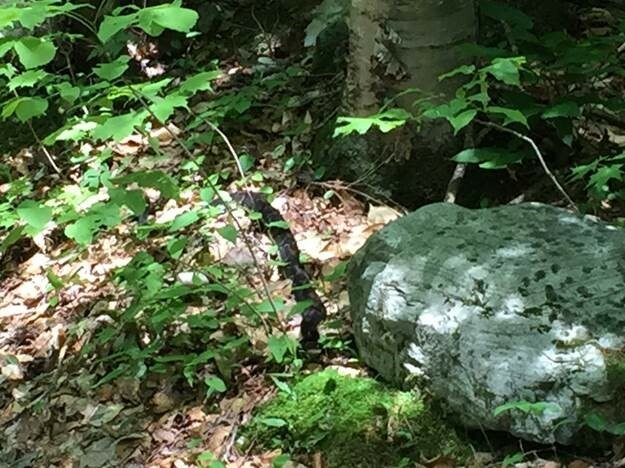 My post-hike brain was still putting it all together…not a squirrel…raised head, looking at me…What is that?…boa constrictor?…loud noise…TIMBER RATTLER!!! I’M OUTTA HERE! Ron actually said, “Wait, I want a picture!” I handed him my phone as I went by. Thank goodness they’re not aggressive, or my day would have taken a real turn for the worse.